Is Autumn in the Air? I always think of August 1st as the 'unofficial' winding down of summer. Kids are going back to school at the end of the month, county fairs are taking place, and, well, I think you can just 'feel' that summer is coming to an end. 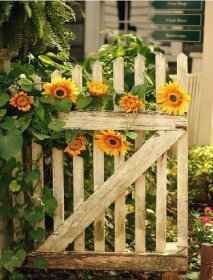 For me, that means less time working in the yard and more time with my needle. Some of you may have seen my post about having joined a Haunted Harvest exchange. This is the first one that I have participated in and it really is fun. I have been going back and forth with the idea of having a Christmas/Winter themed exchange. It would start early October and you would have 6 weeks to complete your SMALL gift. It could be a pinkeep, a tart, an ornament, or the like. I know the timing may not be the best because we are all busy during the holidays. That's why I thought if we started the clock the first part of October, we would be done before the serious holiday craziness begins. If you are interested at all, watch our FB page for more details. AND time is running out if you want to join the Lizzie Kate Stitch-a-Long. I need you to contact me by Friday if you want a kit reserved for you. Prices are on the website along with the different fabric options, thread pack, and embellishments. Don't place your order through the website, though, because I have discounted shipping and also will bill you in three different installments as the patterns are released. Just send me an email and I will work up your pricing for you with the 3 installments. For those of you who have reserved your kits, you will be receiving your invoice around the 3rd week of August for your 1st release. With summer drawing to a close, I hope you are thinking of your holiday stitching. It's definitely not too early. 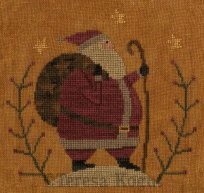 We have some wonderful holiday and winter counted cross stitch charts as well as some applique table mats and wall hanging quilts. Ready to try some applique? Remember to check out our FB page and website often to see what's new. 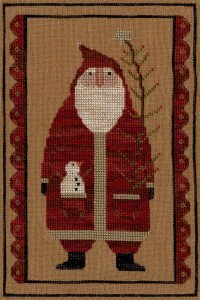 We are continually adding new patterns and some special holiday items that I know you're going to love.